Right Part, Right Price, Right on Time. Our parts department offers a complete selection of parts for all makes of trucks in virtually any application. With 15 warehouses conveniently located on the East Coast, we are uniquely prepared to support you with fast and accurate delivery of the parts you need to run your business. 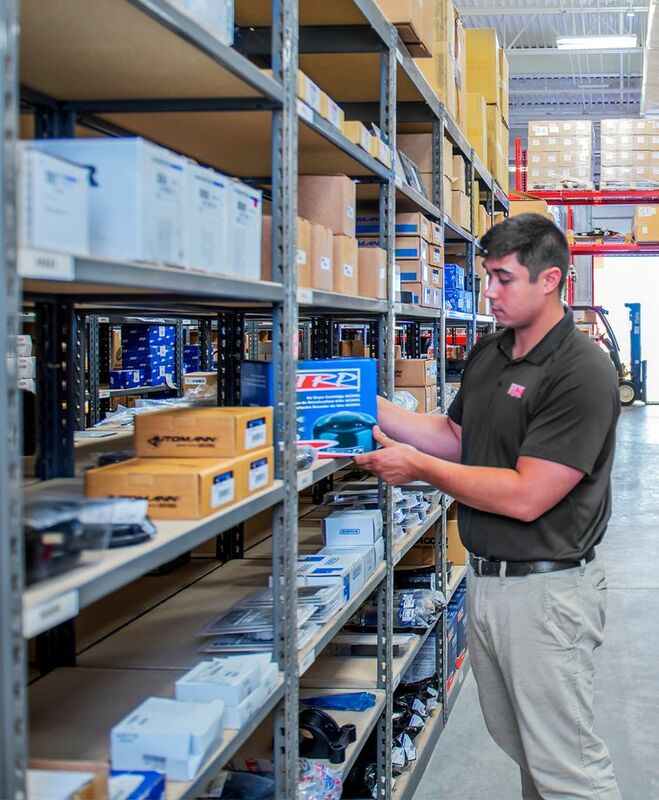 As one of the largest PACCAR Parts dealers in North America, you can leverage our extensive parts inventory and pricing to your advantage. Our PACCAR Parts "Elite" level ranking means our inventory achieves industry leading standards for availability and turns. Because having a BIG inventory doesn't matter if you don't have the RIGHT inventory. Our inventory includes parts for Light, Medium, and Heavy Duty parts for all OEMs, Heavy Equipment, and Trailers of all kinds. Allow us to perform a parts portfolio assessment to uncover savings opportunities in your current spend. You will be surprised with how much we can save you. With Online Parts Counter, we can create a customized portal allowing your business to order parts day or night. It might just become your fleet manager's new best friend. Our scale means we can provide very competitive pricing across the board, your volume can increase these savings with us! Let us show you how. From parts referencing, technician training, and product demos, we can help you train your staff on the latest products and services available. Our people not only love truck parts, they genuinely enjoy helping our customers. You simply cannot find more experienced and professional parts support than at The Pete Store.